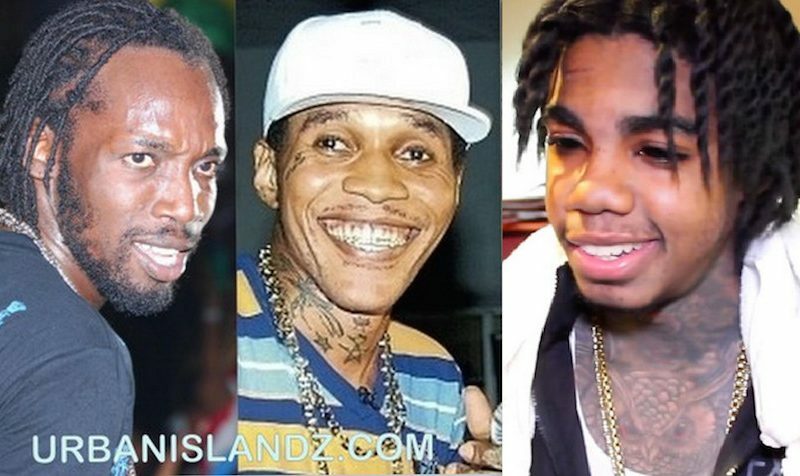 Vybz Kartel Dissing Mavado And Alkaline In "Which League"
Vybz Kartel could be reigniting his beef with his old and new nemesis Mavado and Alkaline respectively. The incarcerated dancehall deejay just released a new gritty single titled “Which League” where he took some serious shots another other artists. Kartel fans on social media are saying the track is a response to Mavado’s smash dancehall hit “My League” released in June on the Liquor Riddim. 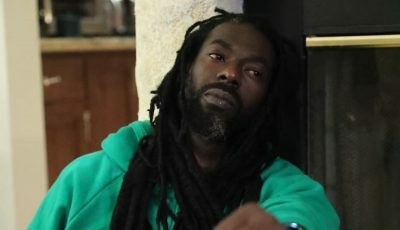 “Dem nuh in a my league / Nuh in a my league / Dem a hype wid a likkle bit a money and weed / Nuh reach no weh, and a seh dem a lead,” the Gully Gad sings. The former Portmore Empire boss showcased his lyrical prowess over a hard hitting beta produced by TJ Records. “Have you ever see a killer kill a shadow dawg / Step in a yo yard, catch you in a yo dirty draws / Two stuck in a yo f***ing heart / A which league dem a play dem a juggle ball? / Addi a go kill everybody before second half / All when you buy lotto ticket you nuh stand a chance / You and yo batty man friend dem weh bad a dance,” Vybz Kartel deejay. Mavado and Vybz Kartel were involved in one of the most infamous feuds in dancehall history between 2005 and 2008. The two artists have since settled their differences following a peace treaty organized by the Jamaican government. 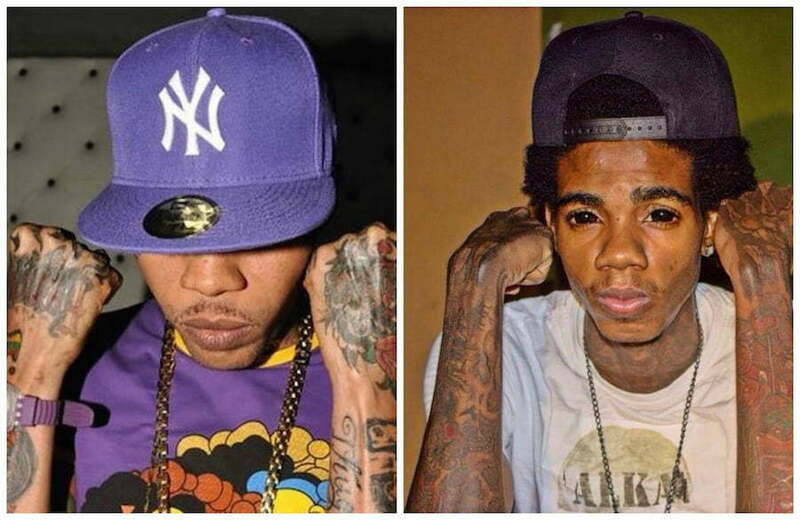 Alkaline found himself on the wrong side of Kartel’s fans who accused him of copying the deejay’s image and signature flow. Movado song was meant for bounty killa and this song wasnt record a long time ago money talks ok he recorded this in prison and it was meant for alkaline!!!!! Alkaline is irrelevant to Vybz Kartel. Vybz recorded this before he went to jail so where was Alkaline. Stop tryna bring up Alkaline using Addi. And Addi & Mr.Brooks squashed it along time ago. Mavado and Alkaline need Vybz Kartel name fi a hype. Make sense, they are calling old material new diss songs. Little girl, you got a lot of growing to do. this aint old. there aint no song with this type of style/sound from the boss before he went to jail. ive listened to those tracks alot and the only ones similiar there are man str88 n kill or die but those tracks was released after he got in jail. Personally i dont think its aimed at mavado, i think its for alkaline. Where did you get that from? I suggest you pay close attention to what is going on in Dancehall. Kartel won’t make things direct. You have to read between the lines. Galkaline has a song called Object Bingo, and in the intro he made reference of himself as a corner league player who piled Messi who happens to be a world star. He clearly threw jabs at kartel based on the fact that kartel made reference to quite a few international ballers including Messi in his recent songs. Hence, this song. Which league dem a play? Have you ever see a killer, kill a shadow dog. Kartel’s shadow would be Galkaline. If you listen carefully to the song called “Chain” and fail to see that it’s a direct diss to Galkaline you are clueless to what is happening! Just look into it. This song was not recorded years ago, a real Vybz Kartel fan would know that. have you heard change mi? that song was recorded in 2011 when addi was free, but they changed the riddim and released it earlier this year (like they did with many other songs of his, even mi nuh trust ppl). Now i cant say for sure what the issue is, but to say that these songs are directed at some1 specific, would mean that songs like real badman, blackberry etc were directed to some1 specific as well and that’s not necessarily the case because he was not warring any1 when those songs released. kartel has always referenced ballers like messi, maradona, bibby, pepe, pele, even hoopers like jordan since his early career days, would all of those references be toward someone specific as well if they mentioned one of those names?? yea it seems like supn inna supn because alki referenced messi, but kartel always references various ballers so it could be a coincidence. I dont know why yall want to argue, but all im saying is dont jump to conclusions until we’re sure. kartel already said that he will not dignify artists with responses who try to get a hype off of him, and he wont save any drowning men reaching for straws. his last war was with bounty and he ended that then he started focusing on songs like “we’ll make it” “crashing head on” “ordinary servant” etc. let the artists verify that they are in a war and stop following the biased media. artists have been talking about this for years saying that the uploaders put the word diss on a song and then the public think that’s the case when nuttin nuh go so. when kartel is warring, he attacks his opponents str8, think back to his war with alliance/mavado/gully/assassin/spragga… there was never any doubt or subliminal dissing, he was always str8 forward. kartel has never left ppl to read between lines for his disses and wars, so why yall tryna act like somethings different? i’ll believe it when he confirms it. i know the media is untrustworthy and has their motives. so b4 i accept that these artists are in a real feud, they have to confirm it. alki is just looking for attention so hes gonna keep using his methods, but ppl have been dissing kartel for years and he’s never even given them time of day, what makes alki so special? stein use to diss kartel until he start big him up now because he wasnt getting anywhere, same with aidonia. why u think baby alki can draw out di teacha? kartel used to refer to busy signal as his shadow, so wouldnt which league be geared towards busy??! Kartel has a mountain of tunes like how 2pac did. He has probably sung about everything that exists on the planet. So anything can be used in the future.